1. The provisions of paragraph 3 of Article 8 of Law 2801/2000 (Government Gazette 46A) "Regulation of matters of competence of the Ministry of Transport and Communications and other provisions". 2. The provisions of Law 1437/84 (Government Gazette 59A) "Regulation of public passenger car and other provisions". 3. The provisions of the PD. 243/87 and 244/87 (Government Gazette 104A) on operating regulations cars. Special Licensed vehicles, according to the applicable law, carry passengers (passengers) with their luggage. Each special licensed car is based in a municipality or community or a wider area, legally designated, within which it is obliged to provide a service without the choice of passengers. Within the boundaries of Special Licensed Car's headquarters (perimeter zone), a single tariff is applied, according to the applicable polling policy each time, except for double tariffs. o Basic routes with the approximate cost, defined by decision of the relevant Prefect. * Keep in a special place and provide the readers with the "Charter of Obligations to the Consumer" and in a prominent position, the basic elements of the COC. in a special form to be issued and made available by the Ministry of Infrastructure and Transport. * Have a road, square, and area map guide. 2. Each SPECIAL LICENSED CAR driver (tourist, sightseeing, hospitals, public services etc.) of its headquarters and to provide all relevant information to the passenger it carries. * Not touse spirits or psychotropic substances. * Not toselect passengers in any way. * To start the air conditioning of the vehicle. * Not to deny the rental unless the passenger is under the influence of toxic substances or drunkenness and is not accompanied by another sober person. * Not to receive a higher fare (beyond the legal fee). * Not to collect fare per passenger. * Not to provide multiple service. * Not to interrupt the lease for personal or pre-lease purposes without the customer's consent. * Expect the passenger, if he so requests, for at least 15 minutes at least and for longer if there is good reason or if the passenger so requests and agrees. * To accept passengers' luggage transport, provided that the provisions of the Code of Civil Procedure are not violated. * Load the luggage to and from the pavement. * To accept the transport of pets, if they are clean, calm, have a collar, a gag (if dogs, a veterinary check, sitting on the floor and accompanied by a person. * Refuse the transport of flammable or explosive or other materials that pollute the space of the car. * To ensure the accurate operation of the taximeter, the cleanliness of the car (internal and external) and its safe circulation (technical status - implementation of the KOK). * To stop for passengers to be picked up at designated stations or on the right side of the pavement, if it is allowed to stop or at the nearest stop, but never at intersections or turns and if the stop does not obstruct traffic of the remaining vehicles or does not create any risk of an accident. * To be dignified in appearance. * To be polite, eager and helpful to the passenger. * Not to smoke without the consent of the passengers. * Not to operate music devices or open the windows of the car (except the driver's window) without the passenger's consent. * Not to speak to the passenger about issues that are not necessary for the service provided. * To use the shortest route to the destination of the passenger unless the passenger chooses another route. * To stop the operation of the taximeter when it stops for reasons that it is responsible for (eg refueling, tire change, small repairs). * To provide a proof to the passenger, upon request, which must indicate the vehicle registration number. * To accept the carriage of passengers up to the number indicated on the marketing authorization. * To inform and encourage passengers to wear seat belts, regardless of their destination. * To wear seat belts that are CE-marked car. * To not smoke without the driver's consent. * To not open the windows without the driver's consent. * To be decent during the lease and do not hinder the driver by acting. * To not talk to the driver about issues that are not necessary for the service they provide. * To not try to go down or climb to the autocomplete when it moves. * To ensure safe transport of children, animals or objects. * To not take any action that can cause damage to the car. * If they wait for ID. car and at the same time await, for hire, blind or disabled or pregnant, to give priority to them. * If you request a leased UCI. await them for 15 minutes of mandatory waiting or longer (if there is a good reason or the driver accepts them), show the driver their identity card (to keep the driver's data) or pay the driver fare increased by the cost of waiting 15 minutes. The wait for ESD car, it will take place at designated stations or at the right end of the pavement, as long as it is allowed to stop, never at crossroads. * The right to start. o Within the perimeter zone (single fringe). o Outside Perimeter Zone (Double Tariff). o Night service (double tariff). For SLC that do not carry a taximeter, the fare calculation is based on the current invoice and the kilometric distance of each route. * Additional stations for each rental made by railway stations, bus and harbor stations or from and to airports. * For each (1) luggage weighing more than 10 kg. 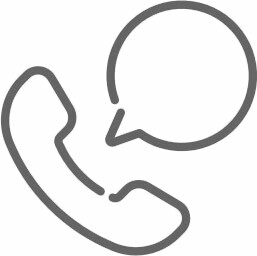 * For simple call phased calls or for a preset lease time. 3. The minimum compensation for each rental is determined each time. Drivers of S.L. cars are obliged to apply the operating rules described in the Operating Regulations cars. For violators of S.L.Car drivers the Operating Regulations provide for penalties which vary according to the gravity of the offense. The certification of violations of the provisions of the relevant Operating Regulations of the SLC guides. of vehicles is carried out by the competent state bodies (Police Instruments, Mixed Prefectural Inspection Services). In addition, complaints for violations of the Operation Regulation may also be submitted by citizens - passengers of SLCs. on all issues relating to drivers' obligations. This report shall be submitted to the competent Department of Transport and Communications of the relevant Prefectural Authority, which shall refer it to the competent Disciplinary Council, provided by the Operating Regulation, which, in a reasoned decision, imposes the prescribed sanction.